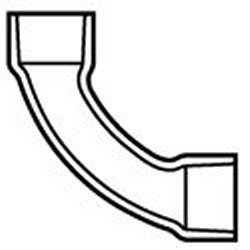 806-015LSF Sch 80 (GRAY) 1.5" 90° elbow, slip x slip. long sweep. MADE IN THE U.S.A.